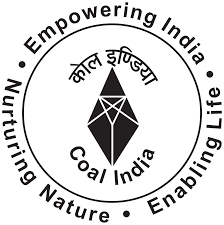 Coal India Limited is the single largest producer of coal in the world having 8 Indian subsidiaries and 1 overseas subsidiary in Mozambique. The company operates 429 mines including 237 underground mines spread over 8 States in India. It is a Maharatna company with a net worth of Rs.42, 391.86 Cr. The average market capitalization for August 2014 was Rs.2, 27,401 Cr. Mission of the company is to produce and market the planned quantity of coal products efficiently and economically in an eco-friendly manner with due regard to safety, conservation and quality. Vision of the company is to emerge as one of the global players in the primary energy sector committed to provide energy security to the country by attaining environmentally & socially sustainable growth through best practices from mine to market. The company produced 462.42 million tonnes of coal during 2013-14 and has set a target of doubling the production to 1 billion tonnes by 2018-19. As per the report of the Working Group set up by the Planning Commission, capital expenditure envisaged for the company during the XII Plan period is Rs.25,400 Cr and another Rs.35,000 Cr for acquisition of foreign coal assets as well as for development of coal assets acquired in Mozambique. Its Registered and Corporate offices are at Kolkata, West Bengal. The authorised and paid up capital of the Company is Rs.8904.18 Crore (including preference capital of Rs.904.18 Crore) and Rs. 6316.36 crore respectively as on 31st March, 2014.
corporate objectives and performance parameters. I. AGE: On the date of occurrence of vacancy: Minimum 45 years and maximum 58 years for internal candidates, and 57 years for others. The age of superannuation is 60 years. The applicant should be a graduate with good academic record from a recognised university/institution possessing adequate experience at a senior level of management. Persons with BE/B.Tech/B Sc (Engineering)/MBA/CA/ICWA qualifications and having experience in Finance, Marketing/Production will have added advantage. (a) Central Public Sector Executives. The minimum length of service required in the eligible scale will be one year for internal candidates, and two years for others as on the date of vacancy. CMD/ MD/ Chief Executive working in companies whose average annual turnover during the last three financial years (2011-12, 2012-13 and 2013-14) was atleast Rs.5000 crores. (i) Whole time Director/President/CEO in a listed company whose average annual turnover during the last three financial years (2011-12, 2012-13 and 2013-14) was atleast Rs. 5000 crores. Whole time Director/President/CEO in an unlisted company whose average annual turnover in the last three financial years (2011-12, 2012-13 and 2013-14) was atleast Rs. 5000 crores and the average annual turnover of the Group company in the above mentioned last three financial years was atleast Rs. 10000 crores, and the holding company or atleast one of the subsidiaries of the Group is listed on a Stock Exchange. The appointment shall be for a period of five years or upto the date of superannuation, whichever is earlier.